PROJECT IS IN BETA STAGE! Giiant is an extended code-generator for models and CRUDs, based upon Gii (Yii 2.0 Framework). It creates prototypes for database models and backends including relations defined by foreign-key constrains in no-time. To provide a highly flexible configuration system it features a callback-provider-queue to define rendering of customized inputs, columns or attribute values. A main project goal is porting many features and learnings from gtc, giix, awecrud and other code-generators into one solution. The generators are registered automatically in the application bootstrap process, if Gii module is enabled. 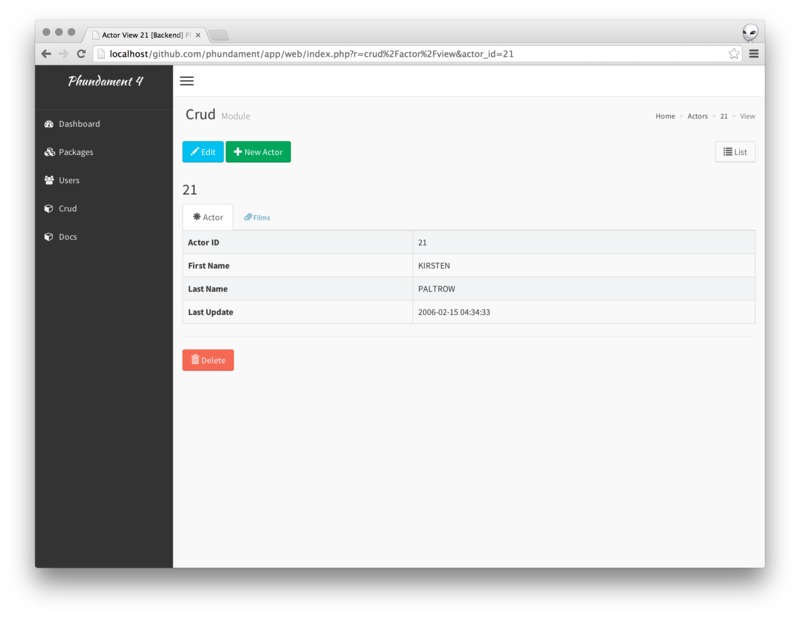 You can try giiant via phd (dockerized PHP application template). It's recommended to configure a customized batch command in your application CLI configuration. Note: yii giiant-batch is an alias for the default configuration of BatchController registered by this extension. You can add the giiant specific configuration config/giiant.php, and include this from your config/main.php. See the batches section for configuration details. The commands for generating models and CRUD, there are usually run via the batch command above. Special thanks to motin, thyseus, uldisn and rcoelho for their work, inspirations and feedback.